The Pebble Beach Concours d'Elegance in Monterey, California was the backdrop for the unveiling of the 2016 Lexus GS midsize sedan and the 2016 Lexus LX full-size SUV. Surprisingly, in addition to a restyled front fascia with LED headlights, revised taillights and rear trim, new alloy wheel designs and new colours, a new version of the GS was introduced sporting a turbocharged four-cylinder engine. The 2016 Lexus GS 200t will be equipped with the 2.0L mill that's already found in the Lexus NX crossover, and will produce 241 hp as well as 258 lb-ft of torque, mixed with an eight-speed automatic transmission. The GS 200t will be rear-wheel drive only. The GS 350's 3.5L V6 now develops 311 hp and 280 lb-ft of torque, up from last year's 306 hp and 277 lb-ft. It also gets paired to an eight-speed automatic. In Canada, the GS 350 will likely be matched exclusively with an all-wheel drivetrain like the 2015 edition was. The GS 450h hybrid with its 338-hp powertrain also returns. On the inside, the updated GS will also feature new trimmings, including laser-cut wood Matte Walnut, Linear 3D as well as Naguri aluminum for the F Sport version. More interior colours will be offered, too. The 2016 Lexus LX 570 also gets a reskin, but the changes are more extensive than they seem. According to the manufacturer, only the door panels were left untouched, as the rest of the bodywork was redesigned. LED headlights, turn signals and fog lights as well as 20- and 21-inch alloy wheels enhance the look of the LX. Last year's six-speed automatic has been replaced by an eight-speed unit, while a Drive Mode Select system that's found in other Lexus vehicles now equips the LX, including a Sport mode. The 5.7L V8 engine is carried over and produces 383 hp as well as 403 lb-ft of torque. The interior of the 2016 Lexus LX benefits from new technology, including a 12.3-inch multimedia screen, a 360-degree camera system and wireless for Qi-compatible phones. Rear-seat occupants get optional heated and ventilated seats as well as bigger screens for the entertainment system. New safety features have been added as well, such as lane departure warning, blind spot monitoring with rear cross traffic alert and intelligent high beams. 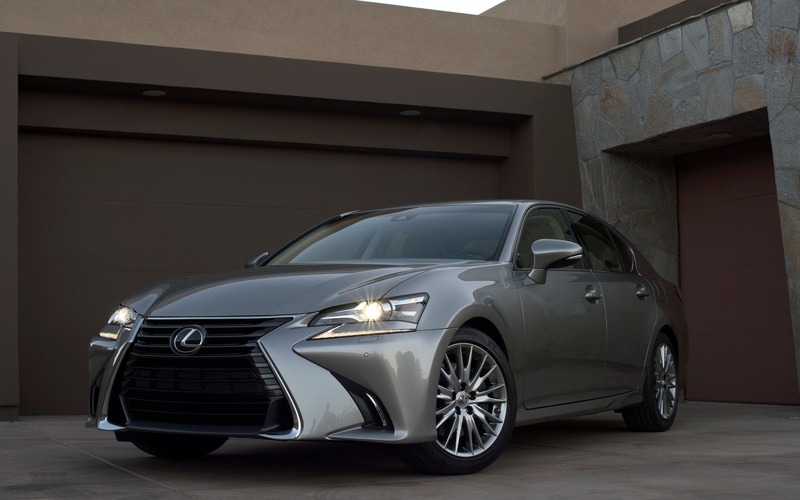 The 2016 Lexus GS and LX should be on sale soon.